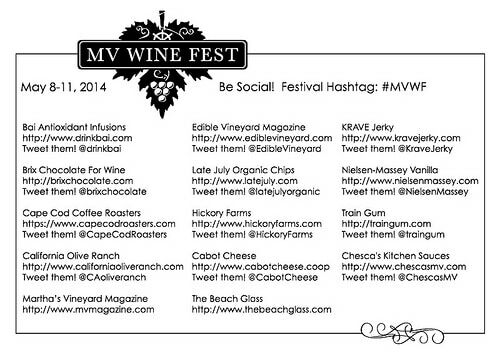 A couple of weekends ago, I had the privilege of attending the Martha’s Vineyard Wine Festival. Having not been to the island since I was 13 and more interested in not being seen with my mom, dad and little brother than actually enjoying the island, I was excited to check it out but even more so at the line up of good wine and food I knew I’d be in for. 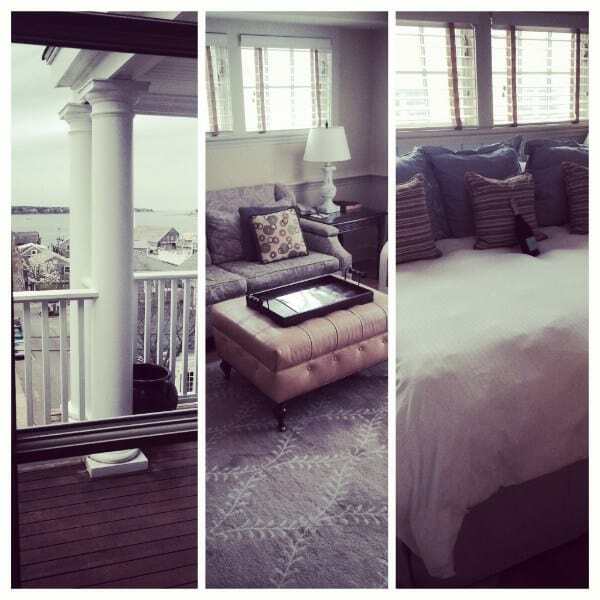 After a 4 hour long road trip and an hour long (freezing cold) ferry ride, we made it to the Vineyard Square hotel where we were greeted by amazing suites, a bottle of prosecco and quite the view from downtown Edgartown straight out to Chappaquiddick Island. The weather was overcast and drizzly but you could imagine how gorgeous it would be on a sunny summer day. The first night we stopped by the opening reception, noshed on some delicious sliders, wings and samosas while sipping rose before heading out to dinner. 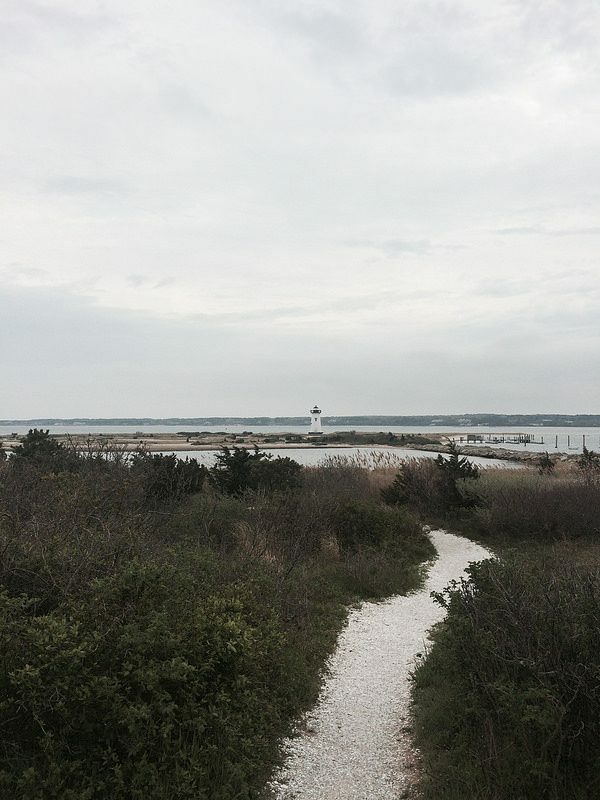 I attended one of the private home dinners that were part of the festival at a gorgeous house in downtown Edgartown themed around locally foraged food. 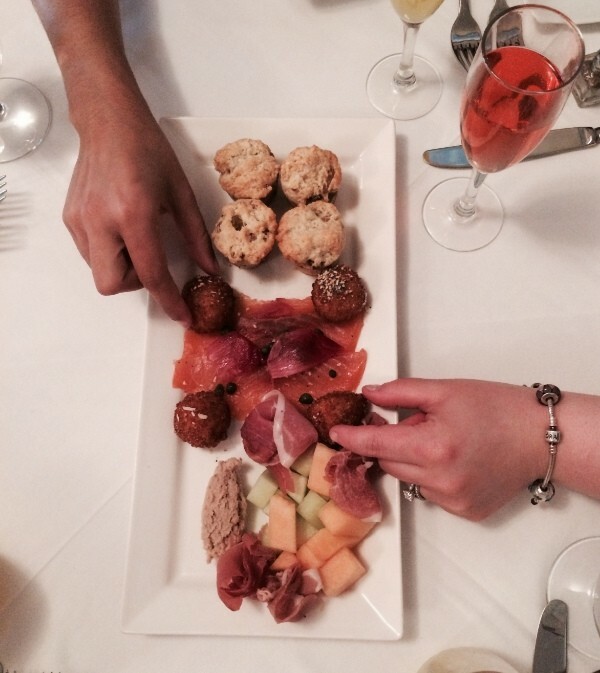 Man Vs. Wild Food was cooked by chef Billy Manson and accompanied by Maisons, Marques et Domaine wine pairings. From the oysters to the wild bay scallops crudo to the bow hunted seared venison backstrap, this meal was phenomenal. The wine flowed (probably a bit too much as I woke up needing water at least 3 times that night), the conversation was great, all in all an excellent way to kick off the weekend. Nelly (our awesome host), Brandy and I set off for a few island adventures in the morning. First stop was Chilmark Coffee where the owner, Todd, brewed us fresh new “experiments” in his kitchen and showed us the whole roasting process from start to finish. 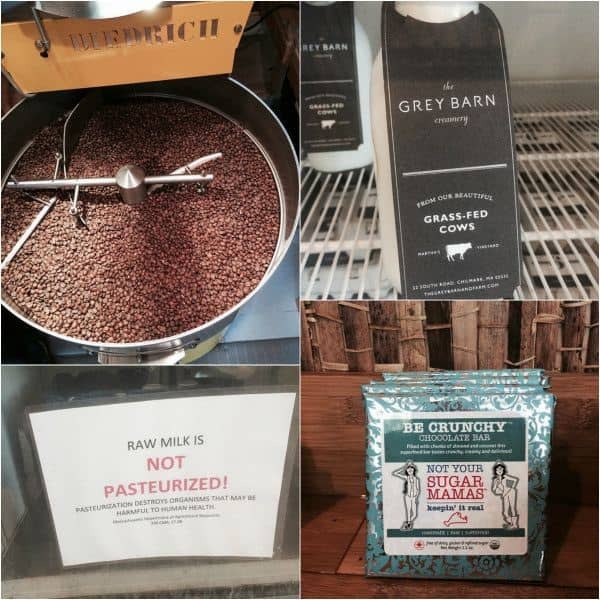 We headed down the road to The Grey Barn where we saw a sign for raw milk and I freaked out proclaiming we must try it! $5.50 later, I ignored the scary “THIS IS NOT PASTEURIZED” sign and finally got to taste raw milk which isn’t as easy to come by at home. Verdict? Creamy and amazing. Our next stop, Not Your Sugar Mamas was probably my most anticipated one of the trip. Their organic, raw chocolate truffles and bars were seriously some of the best stuff I’ve ever eaten. Their Be Local bar was like eating pure fudge but with flecks of salt and lavender…couldn’t get enough. You can bet more was consumed later in the hotel with some of that raw milk. We headed down to The Atlantic for lunch which is where I had the watermelon feta salad that inspired my watermelon feta salad with cornmeal crusted fried scallops from the other week. When breakfast starts off with Legs & Eggs from the Harbor View Hotel it’s hard to have a bad day. That chicken had the crispiest most amazing skin EVER. Patti had joined our group at this point and we just leisurely enjoyed brunch before the big grand tasting later in the afternoon. 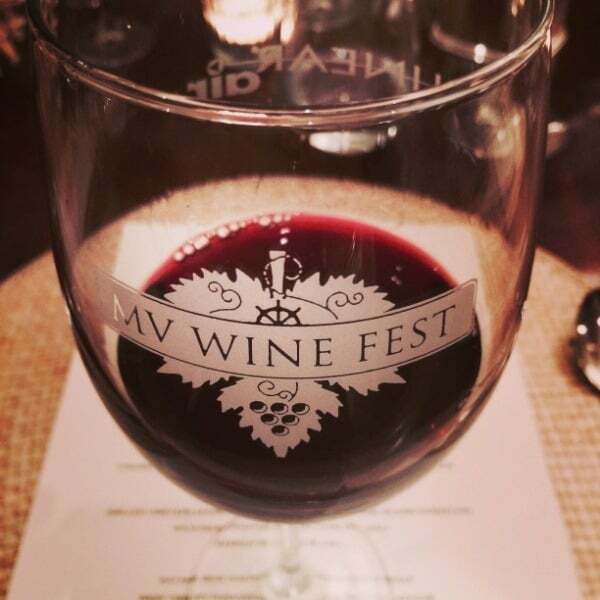 The grand tasting was the main event for the wine festival with tons of vendors and sponsors. 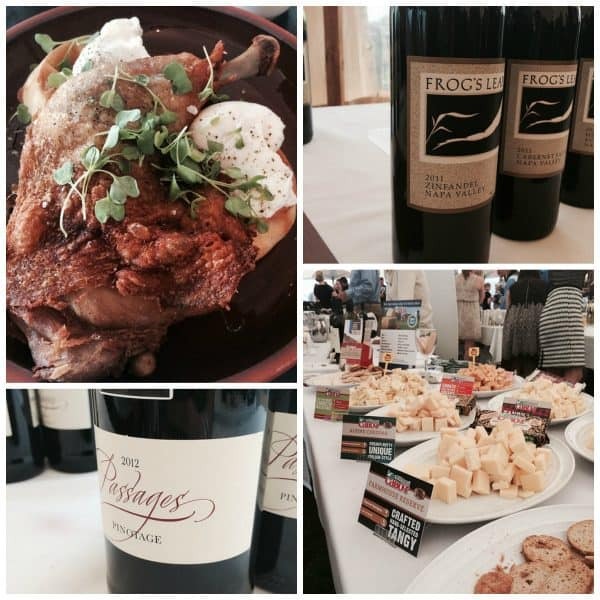 We tasted wine after wine after wine… I really enjoy Frog’s Leap and Passages Pinotage, and a bit of liquor too from Pavan (omg, summer in a cup!) to Deep Eddy Vodka and of course, the big spread of Cabot Cheese to help keep me upright with all that booze. The last dinner of the trip was one I was really looking forward to attending. This private home dinner was not just an exciting menu and wine pairing, but in an extraordinary setting. The house we ate in has apparently been the talk of the town for the past year or so as it sits far out on Chappaquiddick and was facing some serious erosion issues last year to the point where the entire 8,300 square foot house was picked up and moved back 275 yards last fall. Moving a house is a feat in and of itself. Moving an 8,300 square foot house, plus the guest house, plus the garage, etc. is even more impressive. The owners took us through the whole process and it was just one of those things where you sit there, mouth agape and mesmerized. Dinner didn’t disappoint. We feasted on grass fed sirloin tartar, house made sausage, squid ink spaghetti and drank the perfect pairings of Rombauer wines. I could easily drink the 2011 Cabernet Sauvignon for the rest of my life and never get tired of it. As if dinner wasn’t amazing enough, the night ended with bowling (yes, bowling) in the downstairs of the house with 20+ tipsy dinner guests. As you might imagine, it was a blast. The festival ended with brunch at Detente (arugual short rib hash with poached eggs). 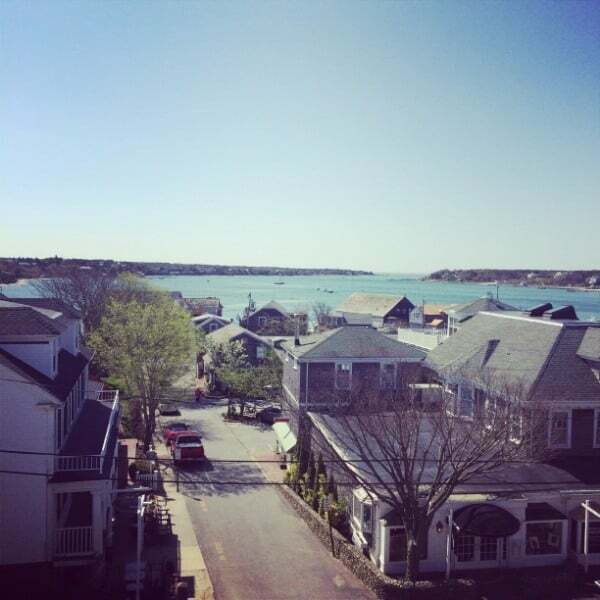 We ducked in and out of the cute Edgartown shops for an hour or two before catching our ferry back home and with the sun shining bright and all the clouds of the weekend gone, I finally understood the draw the island seems to have on all those who have been there before. Now if I could just figure out a way to afford visiting again, I’d love to go back. A huge thank you to Martha’s Vineyard Wine Festival for having me for the weekend and to all the sponsors who made the weekend possible! *This is not a sponsored post but I was given free tickets and accommodations for the festival. All opinions and content are my own. If you were a fan of the raw milk, there’s a place in washingtonville that sells it for $5/gallon. We’ve gotten it before and it’s pretty good! This seriously sounds like the most amazing trip – the coffee, the wine, the location! – love it all! I’ve always wanted to visit MV! It was so great meeting you, Gina! I had a blast enjoying good food, sweet drinks and wonderful company.